June 1958: Colin McDonald defeated Johnny Saint. ~~~This was Johnny Saint’s first professional match. November 6, 1970 – Joint Promotions: Johnny Saint defeated Jackie Robinson. August 21, 1971 – Joint Promotions: Jim Breaks defeated Johnny Saint. September 15, 1974 – Joint Promotions: Johnny Saint vs. Kevin Conneely ended in a 1-1 draw. November 3, 1976: Johnny Saint defeated Jim Breaks for the World Lightweight title. September 21, 1977 – Joint Promotions: Johnny Saint defeated Alan Sargeant. May 31, 1978 – Joint Promotions: Johnny Saint vs. Steve Grey ended in a double knockout. April 25, 1979 – Joint Promotions: Johnny Saint defeated Jim Breaks to retain the world lightweight title. May 27, 1981 – Joint Promotions: Johnny Saint vs. Jon Cortez ended in a draw. September 15, 1981 – Joint Promotions: Johnny Saint defeated Steve Logan. November 18, 1981 – ASW: Johnny Saint vs. Vic Faulkner ended in a draw. November 20, 1981 – Joint Promotions: Mal Sanders defeated Johnny Saint. November 21, 1981 – Joint Promotions: Johnny Saint vs. Steve Grey ended in a no contest. November 25, 1981 – Joint Promotions: Johnny Saint defeated Mal Sanders to retain the world lightweight title. December 9, 1981 – Joint Promotions: Steve Grey defeated Johnny Saint. November 5, 1985 – ASW: Jim Breaks defeated Johnny Saint. November 22, 1985 – ASW: Mark Rocco & Rocky Moran defeated Johnny Saint & Mal Sanders. March 1, 1986 – ASW: Johnny Saint defeated Jim Breaks. June 28, 1986 – ASW: Chuck Cullen defeated Johnny Saint. November 23, 1986 – ASW: Mark Rocco defeated Johnny Saint. Johnny Saint defeated Bobby Barnes. January 13, 1987 – ASW: Johnny Saint defeated Mike Jordan. April 24, 1987 – Joint Promotions: Johnny Saint defeated Mike Jordan. April 28, 1987 – ASW: Johnny Saint defeated Robbie Brookside. January 5, 1988 – ASW: Dave Finlay defeated Johnny Saint. February 27, 1988: Johnny Saint defeated Mike Jordan. March 12, 1988: Johnny Saint defeated Robbie Brookside. March 16, 1988 – ASW: Dave Taylor defeated Johnny Saint. Mike Jordan defeated Johnny Saint. May 21, 1988: Fit Finlay defeated Johnny Saint. June 15, 1988 – Joint Promotions: Johnny Saint defeated Karl McGrath. September 28, 1988 – Joint Promotions: Johnny Saint defeated Pete Lapaque. March 7, 1991 – Reslo: Johnny Saint defeated Kid McCoy. January 27, 1994 – ASW: Johnny Saint defeated Ricky Knight in the 1st round. Johnny Saint vs. The Dynamite Kid ended in a double count-out in the semi-finals. February 6, 1996 – ASW: Johnny Saint defeated Jason Cross. July 21, 1996 – Michinoku Pro: Super Delfin & Tiger Mask defeated Johnny Saint & Piloto Suicida. July 24, 1996 – Michinoku Pro: Johnny Saint defeated Masato Yakushiji to retain the world lightweight title. July 26, 1996 – Michinoku Pro: Johnny Saint vs. Piloto Suicida ended in a time limit draw. July 28, 1996 – Michinoku Pro: Johnny Saint vs. Mens Teioh ended in a time limit draw. July 29, 1996 – Michinoku Pro: Johnny Saint defeated Naohiro Hoshikawa. August 1, 1996 – Michinoku Pro: Johnny Saint defeats Piloto Suicida. August 2, 1996 – Michinoku Pro: Johnny Saint defeated Sugamoto. August 3, 1996 – Michinoku Pro: Johnny Saint defeated Naohiro Hoshikawa. August 4, 1996 – Michinoku Pro: Johnny Saint defeated Sugamoto. October 10, 1996 – Michinoku Pro: Johnny Saint defeated Naohiro Hoshikawa in a world of sports rules match. October 10, 1996 M-Pro: Johnny Saint defeated Naohiro Hoshikawa. ~~~ This was Johnny Saint’s last match (for a long time). September 25, 1999 – VDB: Rambo defeated Johnny Saint. September 30, 2006: Johnny Saint acted as a guest timekeeper in Lowestoft, Norfolk. October 1, 2006: Johnny Saint held a training session in Lowestoft, Norfolk. November 24, 2007 – LDN: Johnny Saint defeated Johnny Kidd in a best 2 out of 3 falls match. January 27, 2008 – IPW:UK: Andy Boy Simmonz defeated Johnny Saint to retain the IPW:UK title. February 17, 2008 – OWP: Johnny Saint vs. Robbie Dynamite ended in a 1-1 draw. March 8, 2008 – wXw: Johnny Saint vs. Mike Quackenbush ended in a 1-1 draw. March 15, 2008 – IPW:UK: Johnny Saint defeated Chris Hero. August 7, 2008 – LDN: Johnny Saint defeated Jon Ritchie. November 8, 2008 – wXw/CHIKARA: Mike Quackenbush defeated Johnny Saint by knockout in round 4. November 29, 2008 – LDN: Danny Collins defeated Johnny Saint. March 27, 2009 – CHIKARA: The Masters Of A Thousand Holds (Johnny Saint, Jorge Rivera & Mike Quackenbush) defeated Incoherence (Delirious, Frightmare & Hallowicked) in the 1st round. March 28, 2009 – CHIKARA: Team Uppercut (Bryan Danielson, Claudio Castagnoli & Dave Taylor) defeated The Masters Of A Thousand Holds (Johnny Saint, Jorge Rivera & Mike Quackenbush) in the quarter-finals of the King of Trios tournament. July 11, 2009 – 1PW: Colt Cabana defeated Johnny Saint. July 18, 2009 – LDN: Johnny Saint defeated Johnny Kidd. September 16, 2009 – Plex World of Saint: Marcus Bash defeated Johnny Saint to retain the Plex Wrestling British title. 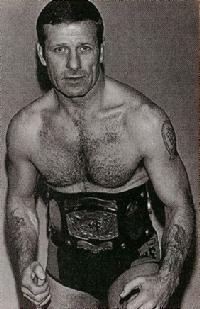 October 17, 2009 – Wrestling Legends Show: Johnny Saint defeated Johnny Kidd in a British rules match. November 21, 2009 – LDN: Johnny Saint defeated Mal Sanders by disqualification. Johnny Saint also wins a battle royal. February 13, 2010 – wXw: Johnny Kidd defeated Johnny Saint 2-1 in a world of sports rules match. March 6, 2010 – World of Sports Legends Show: Johnny Saint vs. Richie Brooks ended in a 1-1 draw. October 1-2, 2010 – ABC: Johnny Saint defeated Claude Roca. June 4, 2011 – PBW: Liam Thomson defeated Johnny Saint. July 9, 2011 – ABC: Johnny Saint defeated Claude Roca. July 30, 2011 – CHIKARA: Johnny Kidd defeated Johnny Saint in a world of sports rules match. July 31, 2011 – CHIKARA: Johnny Saint & Mike Quackenbush defeated Colt Cabana & Johnny Kidd. August 16, 2011 – ABC: Tony Trivaldo defeated Johnny Saint to retain the ABC title. June 13, 2015 – ICW: Johnny Saint & Manuel Majoli defeated Mr. Excellent & Psycho Mike. June 2017: Johnny Saint finished up a 6 month stint at the WWE Performance Center as a coach to NXT talents. This was the 1st time of his career he worked for WWE at the age of 75. Peter Sawyer wrote: Johnny Saint was a master of the bridge – using it to escape opponent’s hold and often just to frustrate the opponent.